With our friend Zigg still on his island and his friends intent on staying for a while, we decided to shift gears and discuss our favorite question of the week. This week’s question derives its origin from several conversations we have had lately with client’s, making it topical for discussion. Should I only put the amount the company matches in my 401k? and a follow-up question, Should I put extra, non-pre taxed funds into my plan? 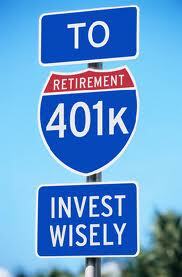 We recommend you put as much as possible in your company 401k even if there is no match at all. There are various restrictions such as compensation and general government caps which limit contributions, but putting as much PRE-tax funds into your 401k as possible, is our recommendation. Various plans allow you to continue after-tax contributions to retirement plans, which we are not advocates of doing. Most plans do not have the ability to provide for specialized allocations which may be more appropriate for investment. Don’t bypass saving these extra dollars and spend! Just save these funds in a more self-directed manner. In closing, just because Zigg is on vacation, does not mean there are not sharks out there, keeping our guard up for an “Event” is still a good idea, however, economic, consumer, and earnings (more discussions soon) look very good! Have a Super Day and a Great Weekend! Under current tax laws, if you do not have outside restrictions (see below), you should be able to contribute $22,000 to your company 401k if you are 50 years of age or better. If you fall into this young age category, take a peek at your latest paycheck to confirm “YTD Deferrals Into 401k” is either close, or at the above mentioned maximum. You may be limited by highly compensated issues that override your ability to defer the max into the plan, you can call HR to confirm. If you are short, and cannot fill up the plan this year, not to worry, just let HR know you would like to be sure and make a maximum contribution for next year. Better eventually, than never, and be sure to spread that deferral evenly throughout the year! We hope you enjoyed another tax saving tip. We understand many of these tips are very near the end of the year, however, we often find this information is more receptive to us all at this time. 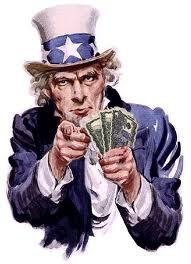 OH, and again, we are not recommending tax advice, as each situation is different.